While I love the look of heels I'm often seen in flats! I know, but what can I say heels hurt my feet and even though I'm a little bit of a fashionista I draw the line induring pain for the look of the perfect pair of heels. 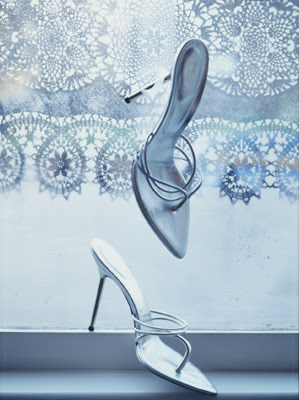 Enter these lovely pictures that if hung up on my wall would give my high-heel fix and be easy on my feet. All images from the imensly talented, Sandra Lane. That second image is awesome! Love a great heel, but my heart realllllyyyy loves an even better flat. These are giving me the fever to shoe shop! 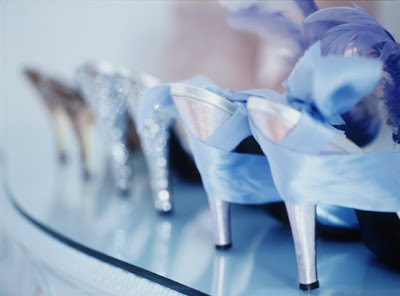 Oh those pictures make me want to kick off my flats and bust out stilettos! But the walk home is so daunting! *le sigh* It's like heaven. I'm also a flats girl but I do love an occasional stiletto! those shoes make me swoon. I mostly wear high heeled boots (well not that high) in the winter, love these photos you found!! Fabulous images ! 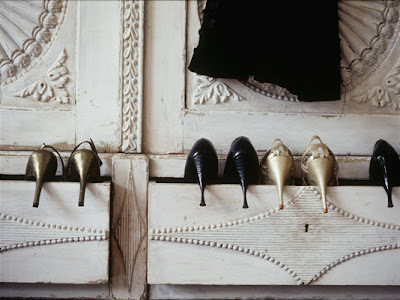 I love high heels sooo much & so does my Podiatrist, who now has a house in Provence thanks to my many visits. I still want to be teetering around in them behind my shuffling Zimmer frame in the Nursing Home - no sensible shoes ever for this gal!